One of the oldest seaside resorts, Cape May, New Jersey, is home to a National Historic District with nearly 600 preserved Victorian buildings. A beautiful promenade runs beside the sandy beaches, offering a perfect location for biking or jogging. Top things to do in Cape May, NJ with kids include Naval Air Station Wildwood (NASW) Aviation Museum, the Emlen Physick Estate, the Historic Cold Spring Village and the Nature Center of Cape May. 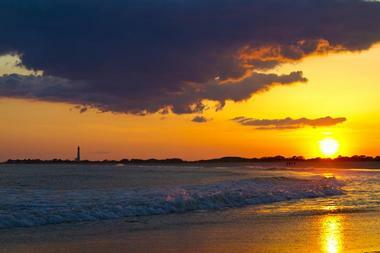 Cape May is a paradise for beach lovers - some of the most beautiful East Coast beaches are located along its coastline. All the beaches are family friendly and dogs are not allowed during the summer months. 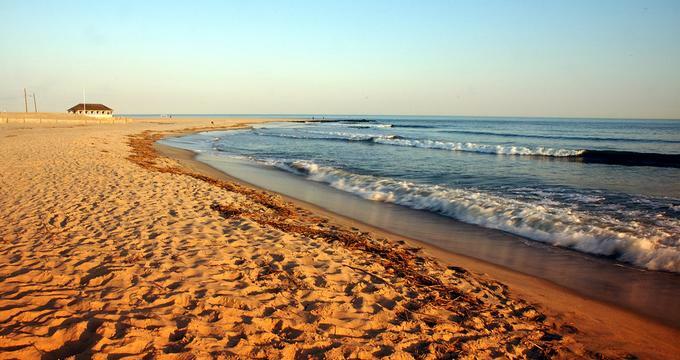 Certain beaches, such as Higbee Beach, offer spectacular views of the dunes. Poverty Beach has excellent food stalls, Steger Beach has volleyball nets, while Sunset Beach offers panoramic views of the sunset. Fishing is allowed on most of the beaches. 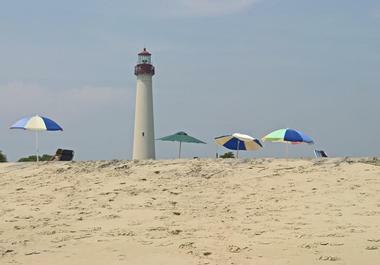 The Cape May Lighthouse was built in 1859 just two miles from the city of Cape May. Visitors are treated to breathtaking views of the sea and the surrounding landscape. Learn about the history of the lighthouse that was a valuable aid to navigate mariners in the past. There is an Oil House with a fully accessible Visitors Orientation Center for those who aren’t keen to make the perilous trip to the top. The museum shop has interesting maritime items and other souvenirs. 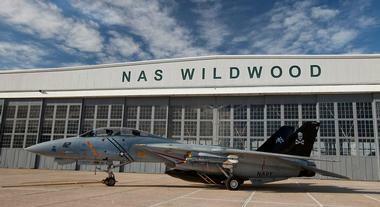 Naval Air Station Wildwood (NASW) Aviation Museum is located inside the historic Hangar #1 at the Cape May Airport. NASW was an active dive-bomber squadron facility for training during World War II. Today, Hangar #1 has been converted into an Aviation Museum that houses several aircrafts, engines, and educational interactive displays that introduces the visitor to the history of WWII. Visitors can climb a real air traffic control tower, sit inside the cockpit of an aircraft, try the flight simulator games, and admire the 26 helicopters and planes on display. 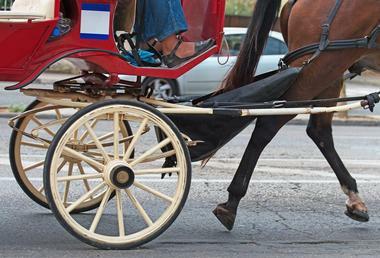 The Cape May Carriage Company was founded in 1983 and ads a Victorian charm to Cape May. Take a trip on a vintage carriage pulled by magnificent horses that lead the way through Cape May’s historical streets. This tour lasts half an hour on weekends during the fall and spring season, but visitors can enjoy the ride every day during the summer and Christmas seasons. The carriage tours begin from the corner of Washington Street Mall and Ocean Street. Reservations are recommended. The walls have several hangings and the vintage furniture is beautiful. Some claim that the estate is haunted. Visitors can admire the Victorian period crockery and interesting gadgets like the magic lantern and button hooks that were revolutionary at the time. The Washington Street Mall is an open air mall that does not even allow bicycles or skateboards. Located close to the beach, this shopper’s paradise is open throughout the year. Visitors can browse candy stores, jewelry shops, clothing stores, and boutiques that stock unique souvenirs. Take a break on any of the benches that line the pathway or beside the fountains that offer a cool breeze during the warm months. There are several restaurants offering fresh seafood, and visitors can enjoy live music on weekends. Fire Control Tower No 23 was built in 1942 and is the only surviving World War II Tower that played an important role in coastal defenses. Notice the All Veteran Memorial on the deck beside the base of the Tower, the Memorial Plaques in the Tower, and the Eternal Flame Monument. Visitors will find the climb up easy on the spiral staircase. There are many exhibits and information about the history of the Tower, but those who can’t make it up the tower can browse through the folder available at the entrance. The Historic Cold Spring Village gives visitors a glimpse into life during the 18th century in this region. Visitors will enjoy participating in the hands-on family activities, interacting with local residents, and learning to make the connection between the past and the present way of life. 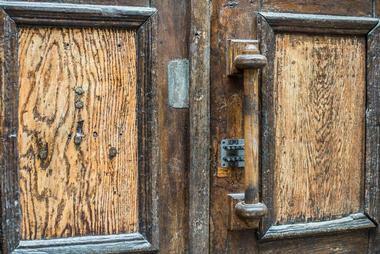 Explore the grounds and learn about farming heritage crops and visit the 26 restored buildings. The Nature Center of Cape May is an award-winning environmental education campus that was founded in 1992. The center rests on the shores of Cape May Harbor and it has a three level observation tower, exhibit aquaria, indoor observation hall, a gift store, and a beautiful multiple themed display garden. 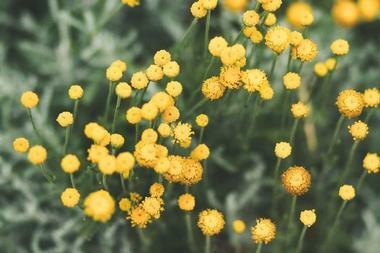 Being close to a diversity of habitat, Nature Center can easily incorporate it into their programs. Visitors can take a salt marsh boat tour, kayak nature tour, wild life friendly gardening programs, summer science day camps, and cycling tours. 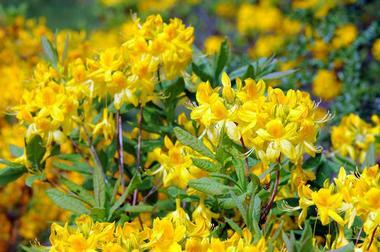 South Cape May Meadows is a renowned birding spot that was established in 1981. This land is an excellent resting habitat for birds migrating along the Atlantic Flyway before they cross the Delaware Bay. 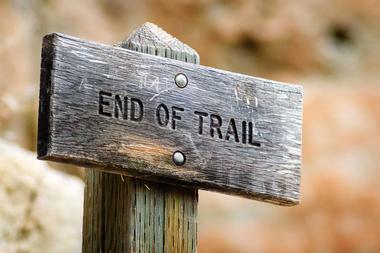 Admire the freshwater wetlands, meadows, dunes, ponds, and a stretch of protected beach. Spectacular sights await visitors as they get the opportunity to view birds on both the freshwater wetland and the undeveloped beach. Take the one-mile loop trail from the entrance to the beachfront, along the way the observation platform offers picturesque views of this terrain. 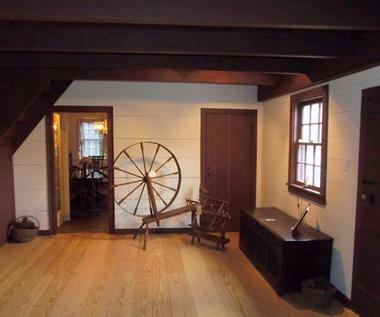 Managed by the Greater Cape May Historical Society, The Colonial House Museum showcases the history of the greater Cape May area through a variety of exhibits, displays, artifacts, and memorabilia. Established as their headquarters, the ,useum is located on Washington Street in a first-period house built circa 1730. Originally a tavern and family house of Memucan Hughes, famous patriot from the Revolutionary War, the architecturally distinctive building features beautifully restored common and tea rooms, a tavern room, and a Gallery Exhibit Room on the first floor. Other rooms in the museum that are open to the public include a colonial era cooking/eating room, a bedroom, and an added research/exhibit room. The museum is open Wednesday through Saturday from June until September. The museum is also open by appointment. Established in 1927, the Museum of Cape May County is dedicated to preserving the diverse history of Cape May County for future generations. 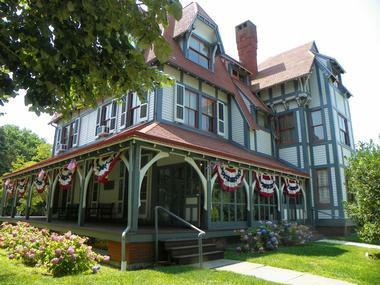 Founded and managed by the Cape May County Historical and Genealogical Society, the museum has been one of the country’s foremost advocates for the preservation and display of local history. Housed in three historic buildings, the museum features an array of rotating exhibits and displays, child-friendly guided tours, history-related lectures and special events, and a world-renowned genealogical and research library for students and serious historians. Special exhibits include a Colonial period home from the early 1700s, a 1830 Federal period addition, and a barn and carriage shed that showcase county life from Native American times through the 21st century. Centrally located only minutes from some of the county’s best beaches and tourist attractions, the Cape May County Museum is a fun, educational place to spend quality time with the family. Established in the early ‘80s by Chefs Louisa Hull and Doug Dietsch, Louisa's is a favorite restaurant that serves an array of delicious home-cooked food in a relaxed and inviting atmosphere. Housed in a cozy blue and yellow cottage on Jackson Street and now run by brother/sister team Will and Honna Riccio, Louisa’s is famous for serving seafood-centric farm-to-table fare created from locally sourced ingredients. The tiny restaurant with a chalkboard menu only seats 20 people at a time and is packed with regulars and visitors alike. While guests return time and again for the delicious food, Louisa’s is also well-known for their new Chocolate Bar, which sells a variety of delicious artisan chocolate bars and caramels and specialty, hand-made chocolates from around the country. 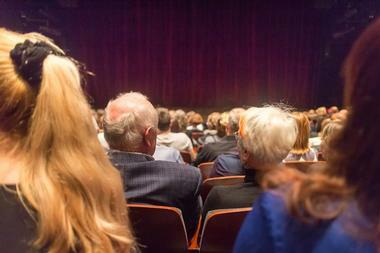 Cape May Stage Professional Equity Theater is an intimate theater showcasing a variety of shows, plays, and dinner and show packages. Housed in a beautiful 19th-century church known as the Robert Shackleton Playhouse located at the corner of Bank and Lafayette Streets in downtown Cape May, the theater provides professional performances to the community in a relaxed, intimate setting, and it inspires and fosters education in the arts. Cape May Stage presents over 150 performances from mid-May through December, ranging from traditional and contemporary works to modern and new works by both established and up-and-coming playwrights. Signature stage productions range from Magicians and Puppet Shows to original, ground-breaking biographical one-act plays, played and presented by award-winning regional and international artists and writers. 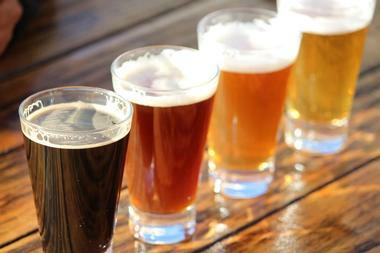 Cape May Brewery Company is a microbrewery that specializes in brewing and producing delicious craft beer. Established and run by a group of friends who wanted to share their passion for beer with the public, the brewery produces over 100 varieties of beer, the majority of which are only available on draft with a limited selection of bottles for release. 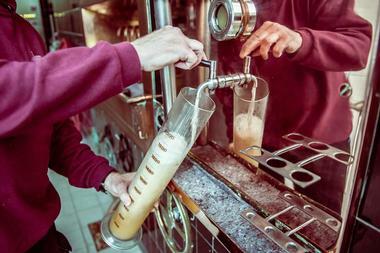 Visitors to the Cape May Brewery can explore the brewery alone on self-guide tours when the tasting room is open, offering a quick, behind-the-scenes peek at the brewery and equipment. Knowledgeable staff present guided tours of the brewery and the opportunity to learn about the brewing process and the people behind Cape May Brewing Co. These tours last approximately 15-20 minutes and include a free tasting in the taproom, which is the largest in the state. A special Tour & Tasting Package includes four beer samples of your choice, and a signature Cape May Brewing Co. souvenir pint glass to take home. Cape May Food Tours offer visitors a culinary and cultural journey into the heart of Cape May. The three-hour guided food tasting and cultural walking tours explore award-winning Cape May restaurants, delectable eateries, and distinctive specialty food stores. 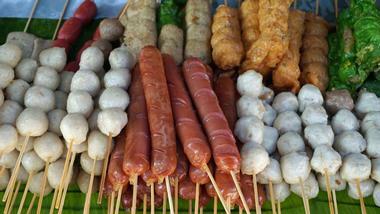 Six delicious tastings are included with the tour, making a most satisfying lunch for most appetites. 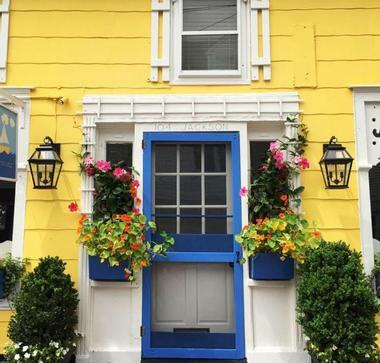 Local guides lead you through the bustling streets of Cape May and share their knowledge and insight to the history, culture and architecture of the city, creating a delicious blend of food, history, design and people. Tickets for these fantastic and very popular tours should be booked and purchased in advance. The Cape May Whale Watch and Research Center (CMWW & RC) offers unforgettable seafaring safaris to explore the wonders of the Atlantic Ocean. Founded in 1987, Cape May Whale Watch offers whale-watching trips on board the M/V American Star, presenting guests with the chance to see whales, dolphins, seals, and pelagic birds in their natural habitats. Naturalists on board will share their knowledge about the animals’ feeding, migration, and breeding habits, ‘spotting techniques’ and offer advice on how to capture the essence of these beautiful creatures on camera. The 90-foot long boat can seat up to 150 passengers with comfortable seating and sighting areas, four restrooms, and a full snack bar. 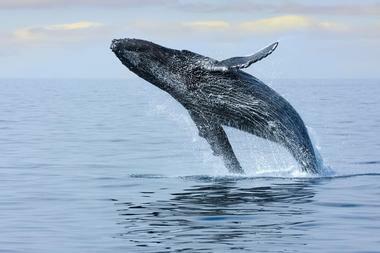 Cape May Whale Watch trips run seasonally and are extremely popular, so advance booking is advised. Explore Cape May in a unique and exciting way – on a Cape May Trolley Tour. 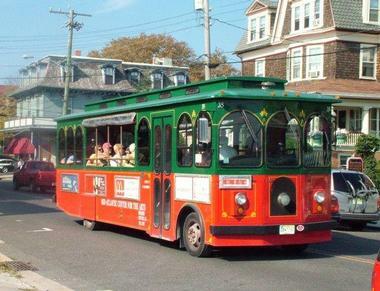 Hop on one of the town’s bright red trolleys, and take a guided tour around the streets of Cape May. Knowledgeable guides share knowledge, information, snippets of history, and interesting facts while you rumble along, from the town’s rich Victorian heritage and maritime history. Trolley tours can be enjoyed by the whole family, with a variety of tours offered for younger guests, and themed tours for groups and special events. Signature tours include the Cape Mayhem Trolley Tour, which explores superstitions, strange beliefs, curiosities, and mysteries from the 19th century; the Historic District Trolley Tour where guests can enjoy entertaining and educational stories about the nation's oldest seashore resort; the Physick Estate Tour, which takes visitors on a guided tour of Cape May's only Victorian house museum, the Emlen Physick Estate. 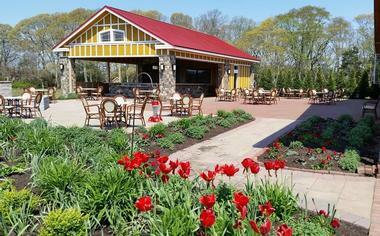 Tastings & Tours offers a variety of winery, brewery and distillery tours around New Jersey. Wine and brewery tours are available around the regions of Bucks County, Cape May, and Lehigh Valley/Berks County and feature comfortable transport to and from the winery or brewery, facility tours with an expert guide and tastings of the products from each farm. Lunch at a local restaurant is also included in the tour package, where guests can relax with excellent food and wine. Guests must be over 21 years of age to participate in the tour, and tour packages include a professional tour guide/driver, local transportation, tour and lunch, and VIP tastings. Tours are available for special events, and booking in advance is recommended. One New Jersey’s finest wineries, Turdo Vineyards is a family-owned and run vineyard and winery that produces premium wines from quality varietals under the label TURIS. Husband and wife team, Sal and Sara, run the winery and are involved in the entire process from picking the grapes to filtering, washing, bottling, and running the tasting room. TURIS wines are 100% estate grown and are harvested by hand at peak maturity. Signature white wines include Sauvignon Blanc, Pinot Grigio, and Rosato (blush), while red vintages range from Nero D’Avola, an indigenous grape from Sicily, Barbera from the Piemonte region in Italy, and Sangiovese from Tuscany. Established in 2008, the Cape May Artists’ Cooperative was formed to introduce the community to local artists and their work through exhibits and displays. The Cape May Artists’ Cooperative Gallery is a gallery in the heart of Cape May that offers a place for local artists to display their art. Located on Sunset Boulevard, the Tea Shoppe of Stone Harbor is exhibiting the work of members of the Cape May Artists’ Cooperative Gallery, showcasing works in a variety of mediums from acrylics and pastels to watercolor and photography. The gallery also presents ‘meet-the-artist’ receptions throughout the year with a mission to share their passion for art with the community. 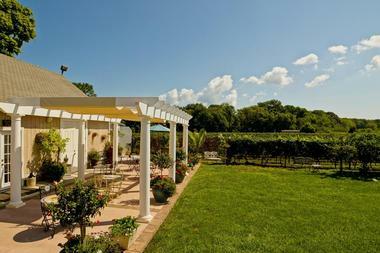 Located in New Jersey’s Outer Coastal Plain and surrounded by the ocean and bay, Willow Creek Winery boasts a 50-acre vineyard that produces premium sustainable wines. Boasting a unique microclimate that is very similar to that of Bordeaux in France, which produces exceptional grape harvests, Willow Creek produces excellent wines from a range of award-winning varietal. Willow Creek Winery not only produces some of the finest hand-crafted wines found outside of Europe, but also offers spectacular scenery of vineyards and gardens to stroll around and explore, and an architecturally stunning wine-tasting room with a beautiful outside brick patio and fireplace. Willow Creek is open to the public for daily farm and vineyard tours, wine tastings, light tapas lunches, winery tours, and private wine paired events. 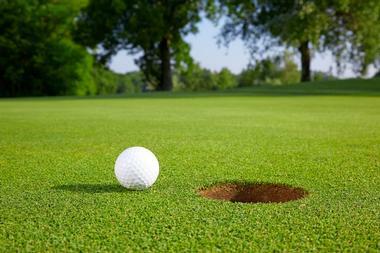 Cape May National Golf Club is renowned for its beautiful scenery and natural landscapes. Nicknamed “The Natural,” the course is surrounded by a 50-acre private bird sanctuary, which is home to an array of bird species, both endangered and migrating. Designed by Karl Litten/Robert Mullock, the 18-hole course features 6,905 yards of golf from the longest tees for a par of 71 and has a slope rating of 136 on Bent grass and a course rating of 72.9. Other course and club amenities include a 25-tees driving range, a fully stocked pro shop with golf equipment, clothing, and accessories, and lessons and clinics run by pro golfers. 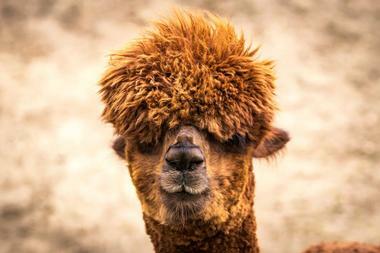 Bay Springs Farms Alpacas is a small alpaca breeding farm in Cape May. Owned by Barb & Warren Nuessle, the farm is the oldest and largest alpaca breeder in Cape May County and specializes in show quality alpacas, superior Peruvian and Chilean huacayas, and diverse bloodlines with Accoyo genetics. Founded in 1999, the farm breeds the animals for excellent conformation and fine fibers, which are transformed into fine alpaca yarn, finished alpaca products including sweaters, throws, socks, and other accessories. The farm’s store sells all of these products and more, including stuffed alpaca replicas and alpaca fur bears. Farm visits for animal sales can be scheduled by appointment.